3.9 out of 5 based on 35 bloggers and 3 commenters. 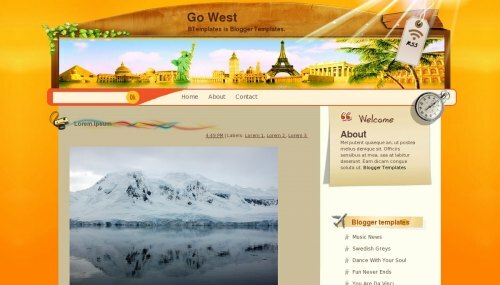 Go West is a free blogger template adapted from WordPress with 2 columns, right sidebar and vintage style. Excellent template for blogs about art, culture or travel. How can I creat “Home”, “Contact”, “About” like you?? please, help me!